"What good shall I do today?" How Ben Franklin answered that question -- through his work as a writer, printer, statesman, and inventor -- forever established him as one of America's greatest figures. On one day in 1729 he published the first edition of the Pennsylvania Gazette; on another day he changed the Declaration of Independence by adding the famous words, "We hold these truths to be self-evident"; and it was all in a day's work when he planted the first willow trees in America. Modeled on his own Poor Richard's Almanack, this unique scrapbook captures Franklin's countless accomplishments. Biography and anecdote, cartoon and etching mesh to create a fascinating portrait of this most fascinating man. 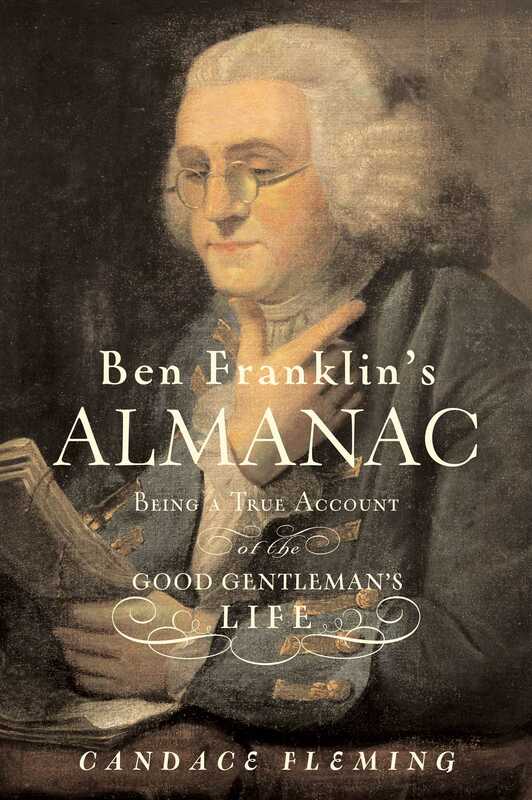 Anyone interested in the birth of American democracy...or curious about the rise of the U.S. postal system...or wondering how paper money came to be...or wanting to know how Ben Franklin was part of it all, is sure to pore over Ben Franklin's Almanac.